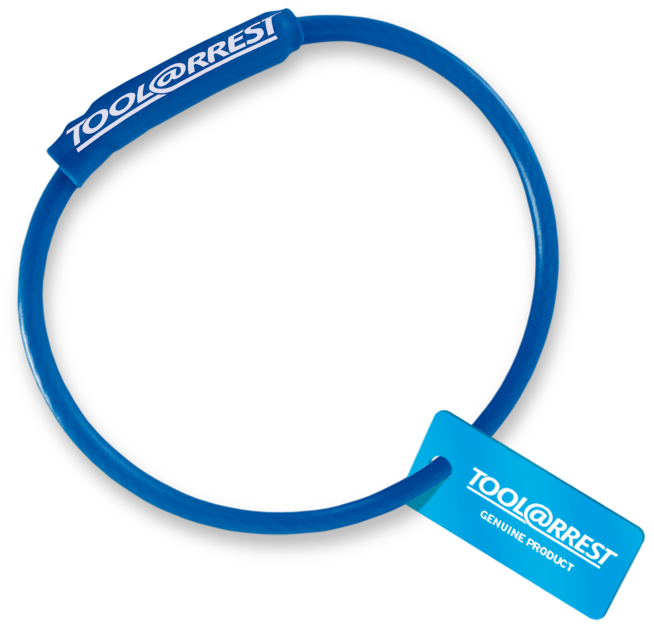 Tool@rrest offer a complete solution for stopping hand tools from being dropped when working at height, centering around an independently tested, statistically fail-safe tool tether and now encompassing an essential range of lanyards and securing equipment. Our tethers can uniquely be applied to almost all of your existing and tool stocks as well as being available on new tools. We call this service ‘Retr@fit’. 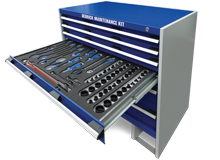 Used as a complete system, this allows operators to effectively and safely handle tools in use and store those in waiting. It also provides employers with an industrially replicable, certified and tested safety system that exceeds their duty of care under all current and expected regulation. Our innovative product solutions are delivered through a global network of long established, trained and certified distributors and agents. All of our partners work to the same standards as the Tool@rrest worldwide centre of excellence at Telford, and participate in the Tool@rrest global assurance and certification programme. • All products rigorously tested and fully traceable. • Tether uniquely applicable to new and existing tools. • Operator training and work at height policy advice available to help clients embed a ‘nobody gets hurt’ policy in their operations. The solution started with the Tool@rrest tether. This was developed almost 4 years ago and was subject to a 12 month programme of independent testing in the University of Wolverhampton specialist Engineering Facility with over 2,500 tests completed using the the Weibull distribution modulus. This model is one of the most widely used lifetime models in reliability engineering and with its application the Tool@rrest tether was certified to be statistically failsafe with a failure rate of 0.000000003 in 1 million to compliment the pliable user friendly ergonomic design. • Industrially replicable and standardised. 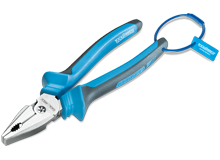 Once a tool is tethered, it needs to be secured to an operator (or suitable fixing point, depending on its weight). This is achieved through a number of lanyard options that can tailored to suit individual requirements. 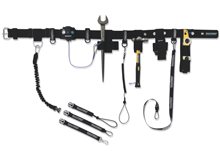 • A wrist lanyard with multiple tool attachment options. In addition to the products themselves, Tool@rrest has lead the industry in creating an assurance programme of testing, safety and assurance, on which all our products are founded. As part of this worldwide assurance programme, Tool@rrest test all our products in-house and independently at the world renowned SATRA test house, sampling all products to validate and maintain our product integrity and certification standard. The same validation process is required for all tethers assembled by our network of Retr@fit agents whose work is also rigorously tested at our global assurance and innovation centre at Telford.